Rafael Nadal clinched his eighth Italian Open title after a fighting performance against Alexander Zverev in Rome. Nadal has reclaimed his world No.1 status from Roger Federer after beating the German Zverev 6-1, 1-6, 6-3, in a pulsating final at the Internazionali BNL d'Italia on Sunday, May 20th, 2018. 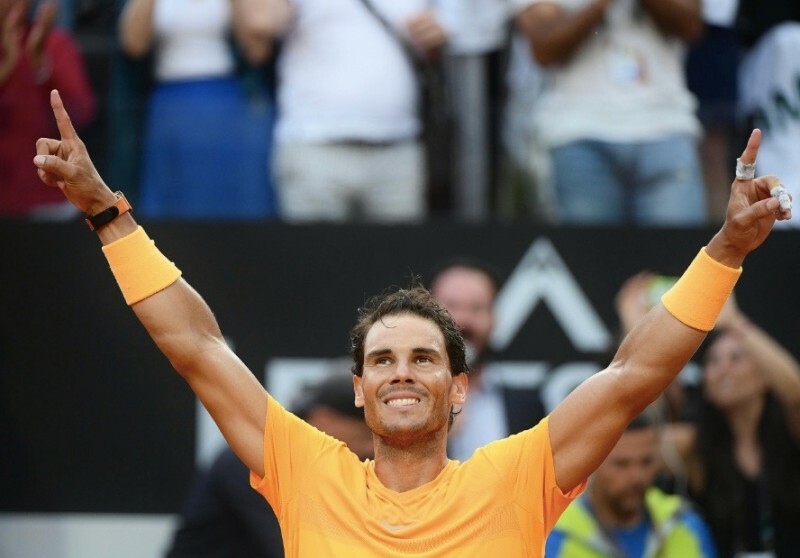 Rafael Nadal has reclaimed his world No.1 status with a typically fighting performance against Alexander Zverev to win his eighth Italian Open title in Rome. Nadal took full advantage of a weather delay to beat defending champion Alexander Zverev in a roller coaster final of the Italian Open in Rome. After a further half an hour off the court during the second interruption, Nadal came back out firing, winning four straight games to wrap up the win on his second match point. "The rain break was so important, I didn't think it would help me but it did. I was able to come back out with clear ideas, I'm very happy," said Nadal. Nadal was a break down in the decider when rain forced a second stoppage of the match, with Zverev having won nine of the previous 12 games. And when play resumed after a delay of 50 minutes, Nadal immediately broke back and won four games in succession to seal a 6-1 1-6 6-3 victory. "To win Rome eight times is amazing, it's hard to describe. To have the chance to win here again is so great. "As for Roland Garros, I'm going to enjoy this victory and think about Paris in a few days. "Today this trophy is with me for a short time, but I'm sure you will get it again." He added: "This was a very difficult match played at one of the best events of the world. "To win again after my first (Rome title) in 2005 is amazing, 2005 final was one of the best memories of my career." 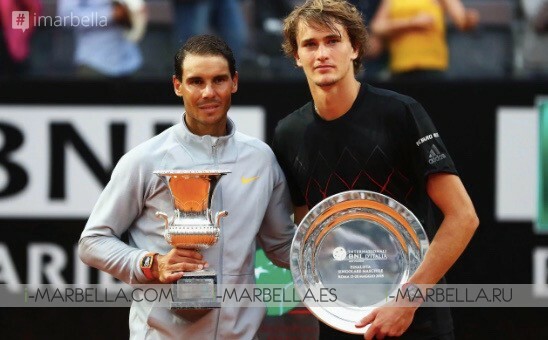 "You are an amazing champion and you proved that today," Zverev told the Spaniard at the trophy presentation. A 32nd Masters 1000 title and eighth in Rome will take Nadal back to world number one on Monday, the 31-year-old having relinquished top spot with a quarter-final defeat to Dominic Thiem in Madrid last week. Nadal who has been Italian Open winner also in 2005, 2006, 2007, 2009, 2010, 2012 and 2013, obtains now his title number 8th. Nadal’s victory means it is the sixth time he has earned the No.1 spot as he overtakes Roger Federer, who announced in March he would skip the clay season after a shock defeat at the Miami Open. The Spanish clay-court king will now look to win his 11th French Open title at Roland Garros, which begins on May 27, to ensure he begins the grass tournament term in a strong position. 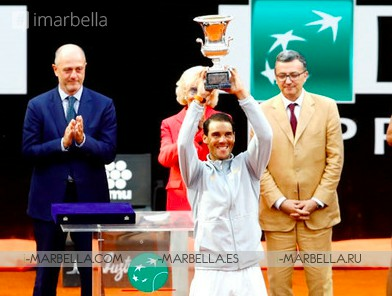 "It has been an amazing week," said Nadal. 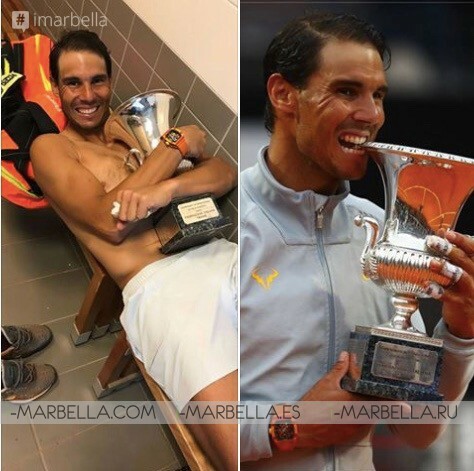 "Such an important week to have this trophy with me again after losing in the quarter-finals in Madrid. It was unforgettable and emotional for me. It's amazing to win eight titles in Rome. It's a difficult event and to have the chance to win again here means a lot. This is the moment to enjoy winning here again." In the women’s final in Rome, fourth seed Elina Svitolina ran out a 6-0, 6-4 winner over world No 1 Simona Halep. Again, fatigue from previous rounds played a part. Halep admitted that she started out feeling stiff after Saturday’s 2hr 23min semi-final against Maria Sharapova. Nadal also added a slice of history with his victory in the Eternal City. The 31-year-old now stands alone in fourth place on the Open Era titles list, adding the 78th piece of silverware to pass John McEnroe. Only Jimmy Connors (109), Roger Federer (97) and Ivan Lendl (94) remain ahead of him. 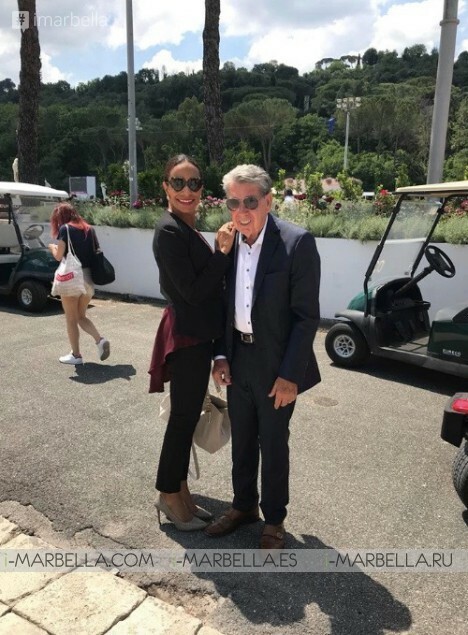 Manolo Santana who recently celebrated his 80 Birthday along the Mutua Madrid Open was also part of this final event at the Italian opening supporting Nadal together with his wife Claudia Rodriguez. 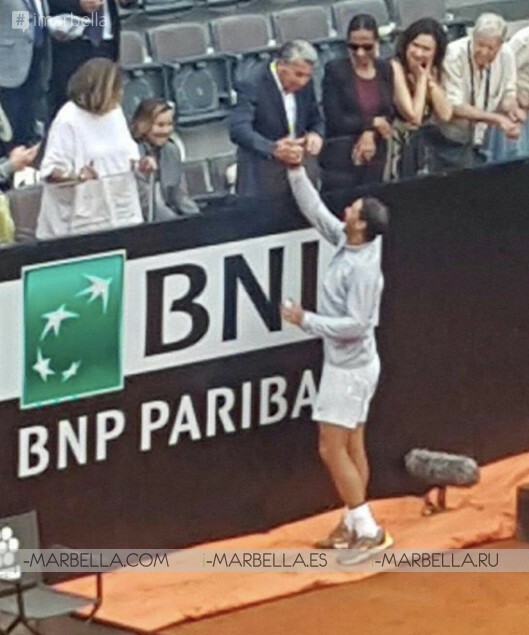 After the victory ceremony, the new Rome Champion and number 1 tennis in the world stepped out of the tennis ground to greet the tennis legend Manolo Santana who was one of the most outstanding sports figures of Spain in the 60s and winner of four Grand Slam tournaments.